In our house, bedtime is my husband's job. I don't mean that in the "you're home now, so it's your turn" sense that people seem to think, but because bedtime is the only time my husband typically gets with Ethan. On a good day, my husband gets home from work in time for the pajamas to be donned and the teeth to be brushed and from there, he takes over with stories, songs and laying with Ethan until he falls asleep. It's become a tradition that feels a little bittersweet at best; one that is both sweet and endearing to watch as well as being a sad testament to my husband's frustrating work schedule. Like most toddlers, Ethan isn't really keen on change or breaking routine even in the slightest. On the days when my husband works late and can't be home until it's technically tomorrow, Ethan refuses to go to sleep. I'll read him the same stories. I'll sing him the same songs. I'll even scratch his back at his request. I'll think he's asleep and then peeping out from the silence will be a little voice: "I'm not trying to sleep, mommy. I'm not trying to sleep for you." I know he doesn't mean it maliciously. I know it's hard. This is why I find myself suckered into a car ride up and down the dark streets of South Florida, singing songs along with Matt Nathanson Radio a la Pandora and checking the backseat every few minutes to see if Ethan has finally surrendered yet (and usually he hasn't). Whenever my husband makes that 7 o'clock phone call to say he's working late and won't be home before bedtime, I feel like throwing myself on the floor in hysterical, dramatic sobs in the way I know Ethan will once he realizes he gets boring, ol' mommy running the bedtime show. And that's when the show becomes a showdown. A battle of wits. A contest to see who exhaustion takes down first. Anyway, I know it seems I'm about to go somewhere deep with this but I was just leading into the fact that it's draft night and I am totally giving the middle finger to whoever created Fantasy Football. 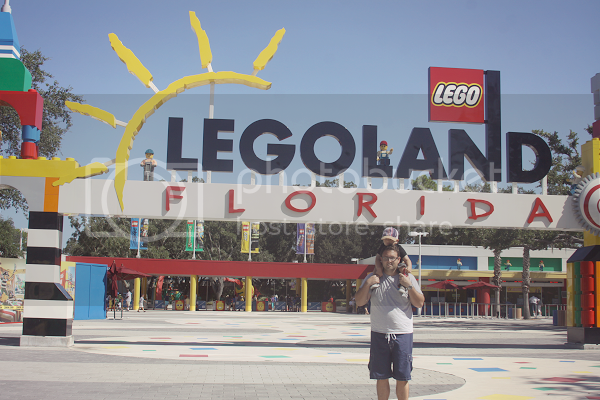 Last Thursday morning, we went to Legoland! When I brought it up to Ethan initially that we were going to visit Legoland, my sweet child thought we meant Barnes & Noble, where we often go to play Legos. (Be still, my heart!) He couldn't believe his eyes when we pulled up and he saw what Legoland really was! 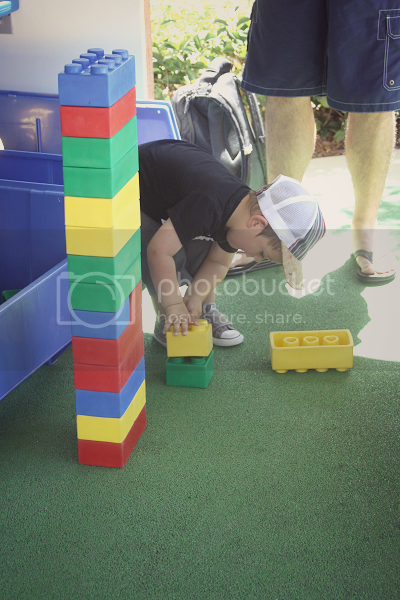 Don't get me wrong, even for us adults, Legoland seemed like a pretty magical place -- but watching the magic unfold through Ethan's eyes, well, that was priceless. 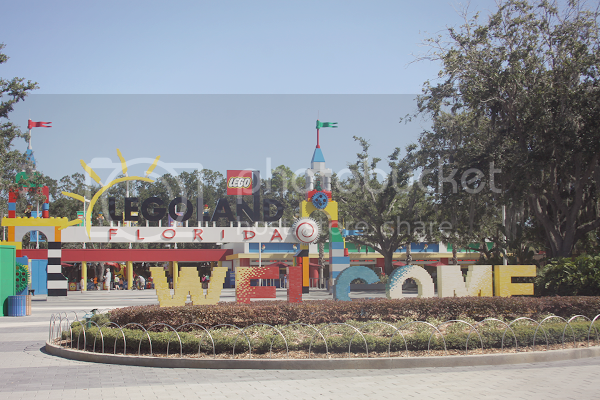 Legoland is located in the city of Winter Haven (45 minutes from Orlando) which is a little more quaint and out of the way than the other big theme parks. This added a little bit of extra charm as we got to take the back roads (it also added less crowds, too) and the park was surrounded by greenery. 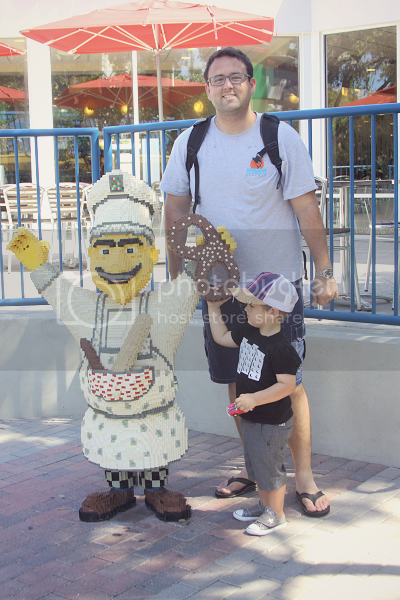 None of us had been to Legoland before so we weren't entirely sure what to expect and so with that, we were all super eager to get inside the park and check it out! From the first moment you enter the park, it's almost as if you've been shrunken down to Lego size and are entering a, well, Lego land. 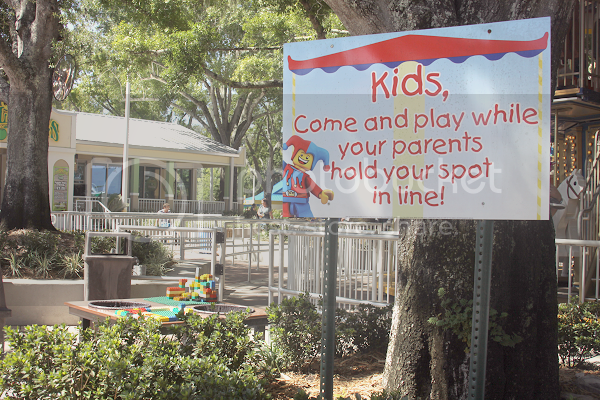 Legoland advertises their park was being ideal for ages 2-12 and I agree fully. Although it may seem that is a wide age gap, there is something for every child of every age to enjoy. 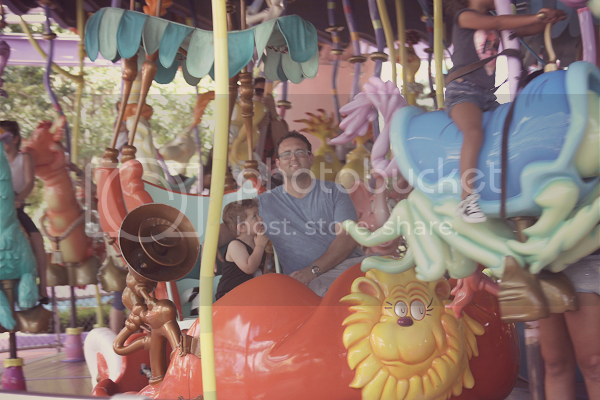 As we walked through the park, I picked out several rides or attractions that would interest my father and my almost 18 year old sister. 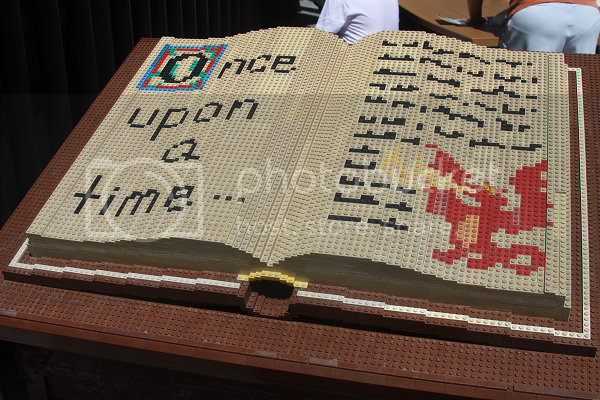 There was definitely something for everyone and the magic of visiting Legoland made it even more exciting. All throughout the park, there were plenty of restaurants to choose from for meals as well as coffee houses (words of magic to any parent!) and snack booths. 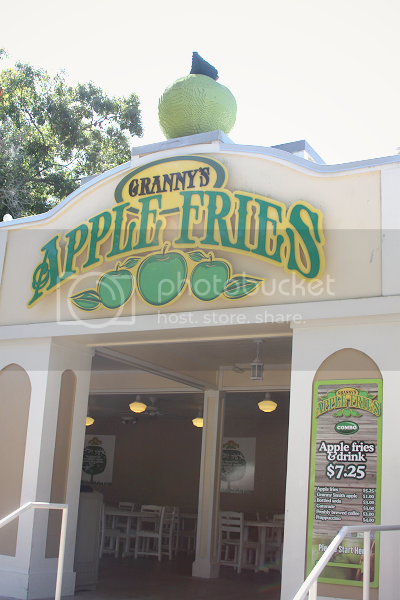 Legoland also offered some healthy snack alternatives, like fresh apple fries, which was pretty great to see! 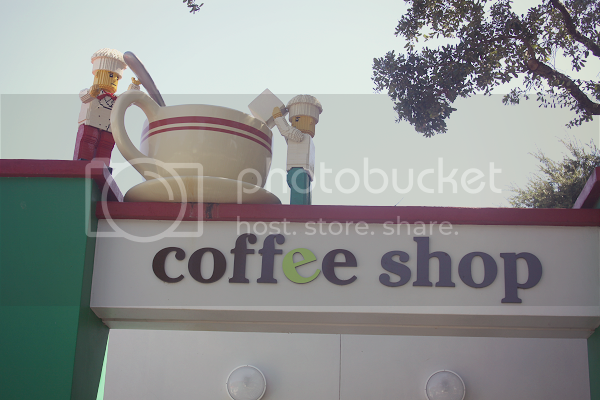 The Legoland shops were filled with everything from souvenirs to actual Lego and Duplo sets and collectors items and it was fun to walk through and see everything they had to offer. 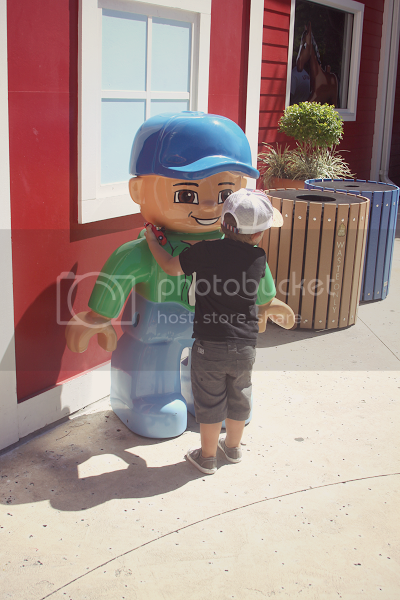 Legoland boasts over 50 rides, which is a lot, but so many of them happened to be appropriate for younger children that Ethan didn't feel excluded from anything. 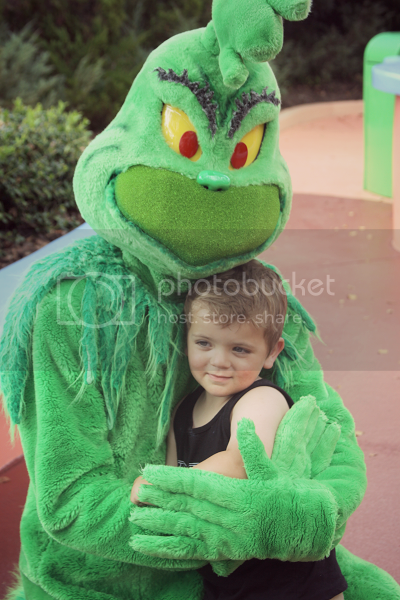 He was able to ride on everything that he wanted to ride while older kids were able to have their fun on some crazy rollercoasters and more intense thrill rides. 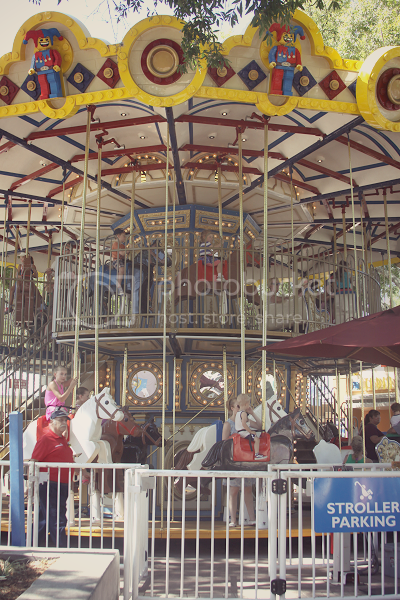 A must-stop for any age is the amazing two-level Legoland carousel! None of the lines on the rides Ethan wanted to go on had longer than a five minute wait time, but waiting was still a cinch thanks to this genius idea by Legoland! What kid would frown upon having to wait in line when it meant they could build their own Lego creations in the mean time? Ethan was happy to build with his Legos while his daddy held his place in the line. 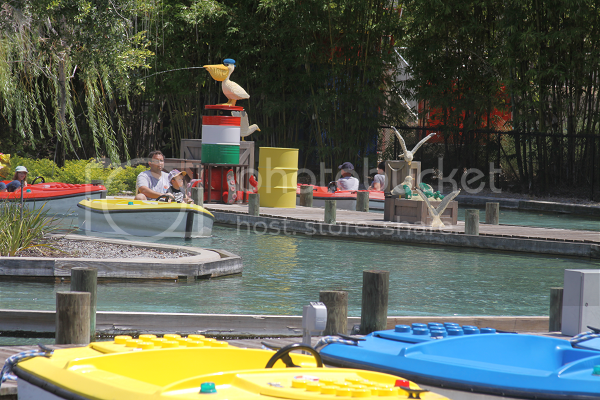 Legoland Florida is made up of 11 different areas (or zones), including their latest zone, The World Of Chima. 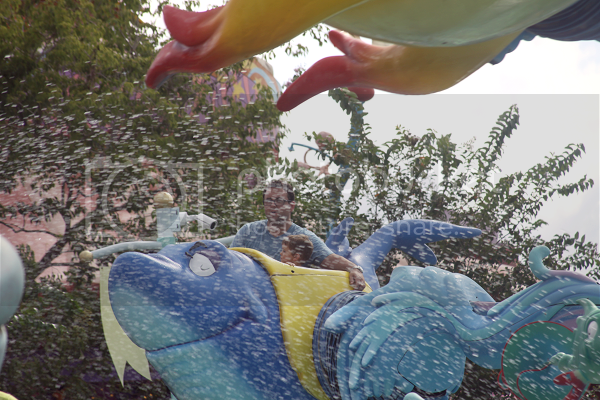 The World Of Chima includes a 4D movie experience and an interactive water ride. 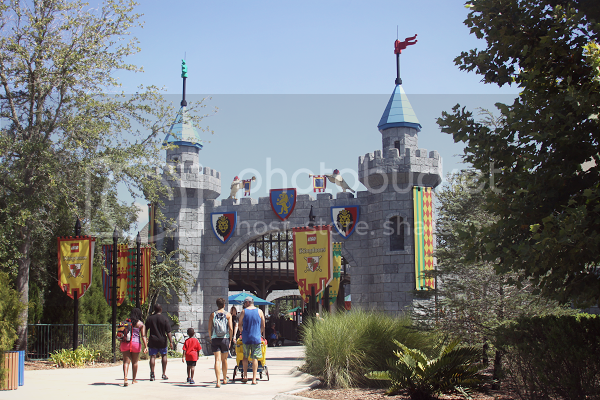 From the moment we entered the park, kids zoomed by us eager to experience the new World Of Chima zone. 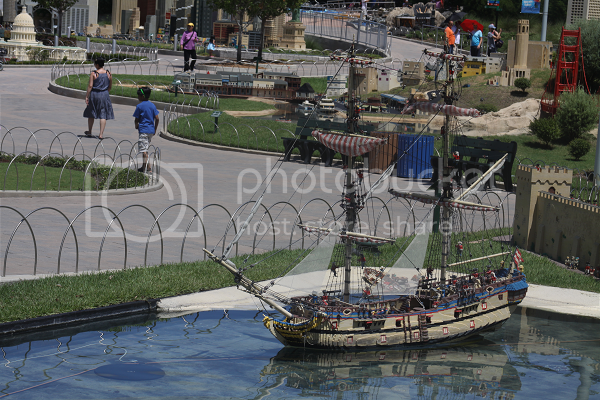 The Pirates' Cove zone is where you can catch an actual water ski and stunt show performed live. 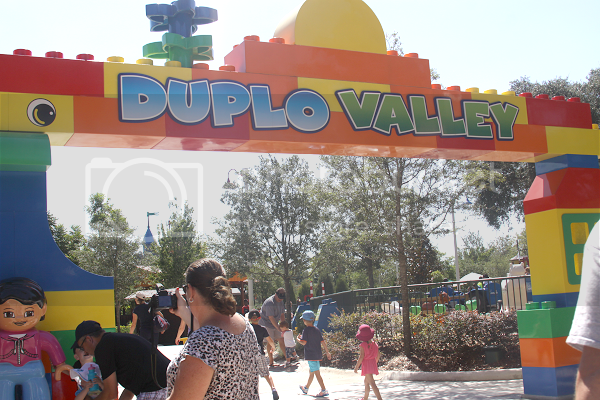 The first zone in which Ethan was quick to fall in love with was none other than Duplo Valley! There, he was able to build with big foam Lego blocks, ride (and "steer") a Lego tractor ride, ride a Lego train and play at a fun little play structure. 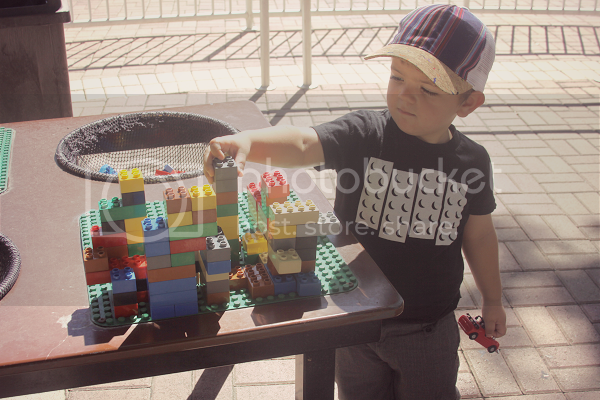 Duplo Valley is a big hit for toddlers and small children! Hugging his friend "Lego Boy" who he plays with all of the time at home! He was excited to see him so big and "real!" 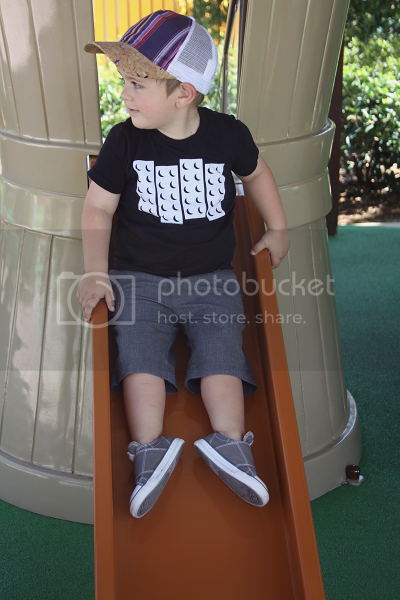 Ethan was excited to move on to the Lego Castle zone! 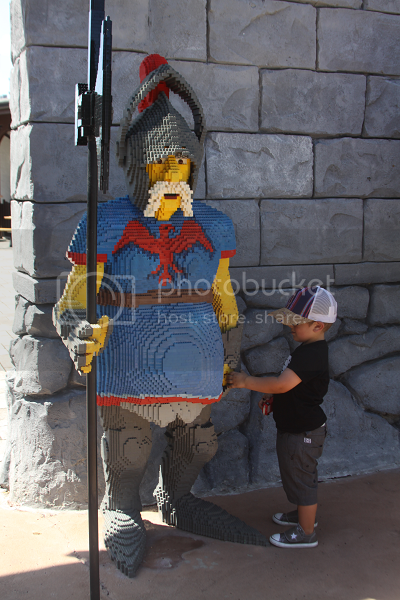 In the Lego Kingdoms zone, Ethan and my husband spotted a super fast Merlin ride that I was sure Ethan wouldn't be big enough to go on, but he was! He had a blast and was so proud of himself that he went on the ride! 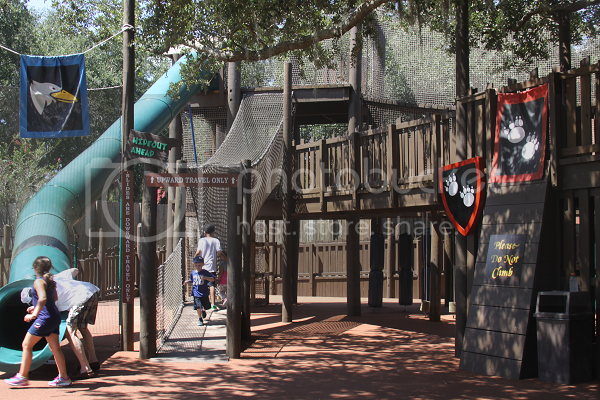 We then took some time to cool down, have some water and let Ethan explore the great wooden playground located in this zone. 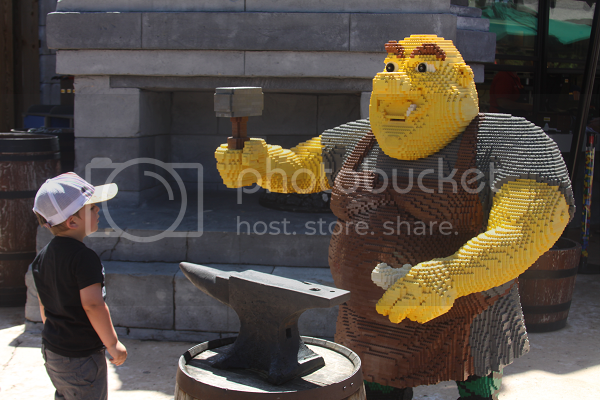 The Lego statues were also very much worth admiring through the park. It is absolutely incredible the kind of time and dedication that goes into creating them! 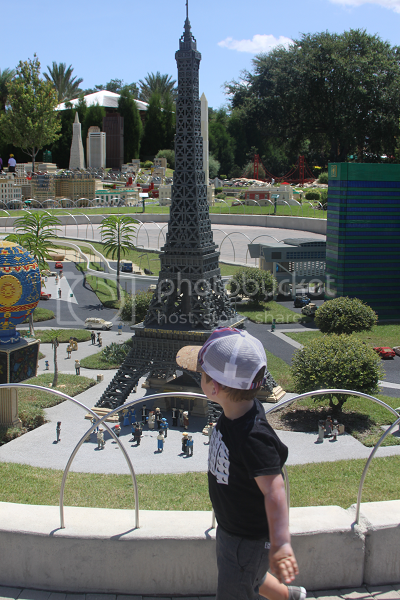 Guests of every age will definitely fall in love with Miniland, which was one of my favorite Legoland zones. Miniland is an entire zone dedicated to Lego recreations of famous landmarks, cities and characters (Darth Vader was there, too!). Ethan was captivated by the Lego ships and boats that actually move across the water as well as the space ships that actually fly and make noise! 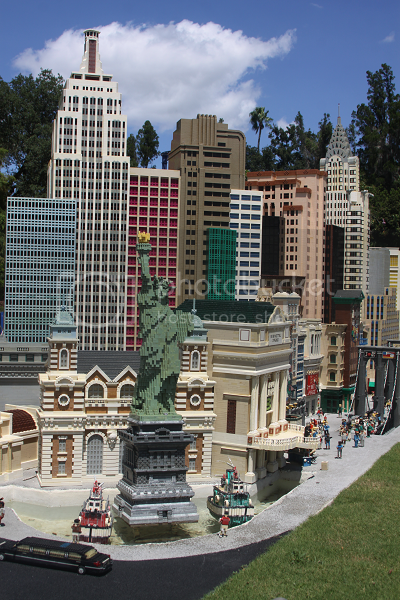 There were various fun facts throughout Miniland that gave you an idea as to how long each structure took to complete and how many blocks it took to do so. It was incredible to see! Another cool zone, especially for youngsters like Ethan, was Lego City. 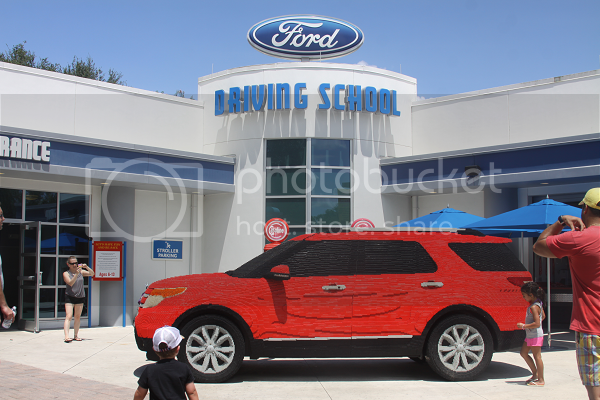 In the driving school -- separated into two groups based on age -- kids could learn to drive Lego cars around a track. Ethan personally loved the boating school! Ethan loved driving his own boat, with daddy as his lucky passenger (no, that's not sarcasm or anything). There was also a Police & Fire Training Center where I got to watch my husband and Ethan navigate a police car to the fire and help the firefighters put it out! 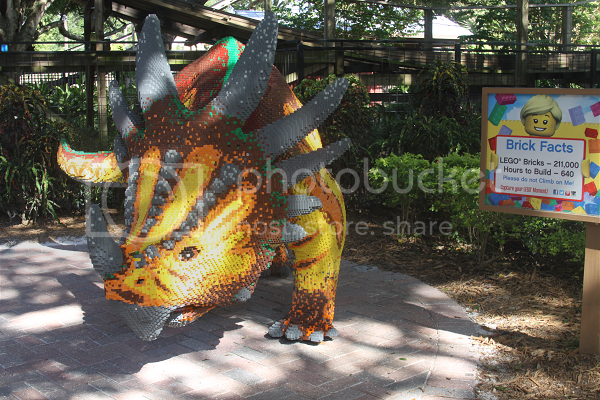 The Lego safari was also amazing! 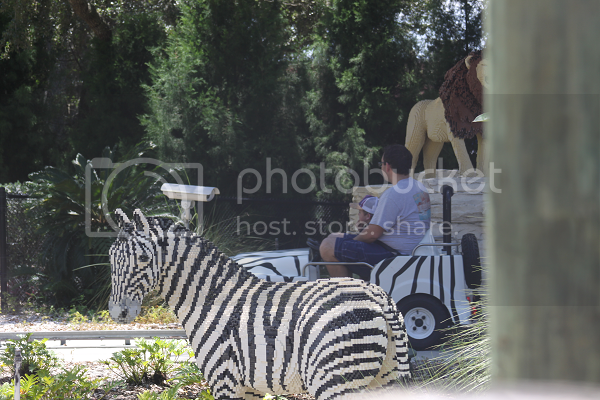 Ethan got to drive a safari car and check out so many incredible animals all of which were made from Legos! 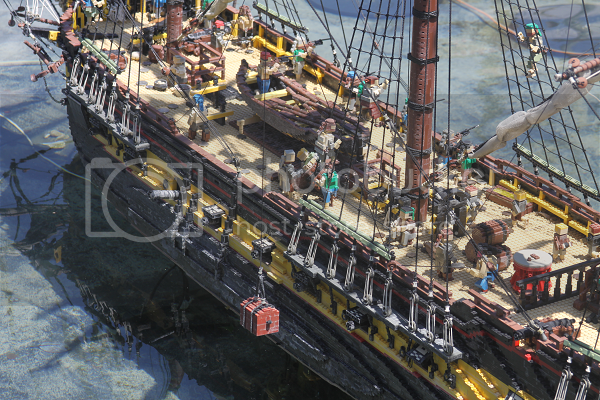 The detail that went into each of these exhibits is absolutely mindblowing. Each of the animals on the safari looked real and were amazing to see, especially once you realized the detail that went into making each one of them. 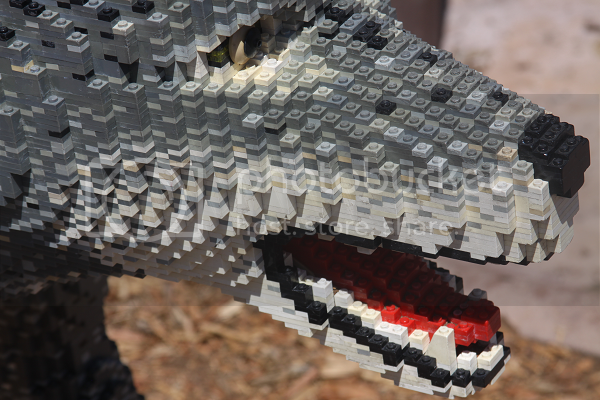 I also really liked the eco-friendly focus that Legoland put into the park. 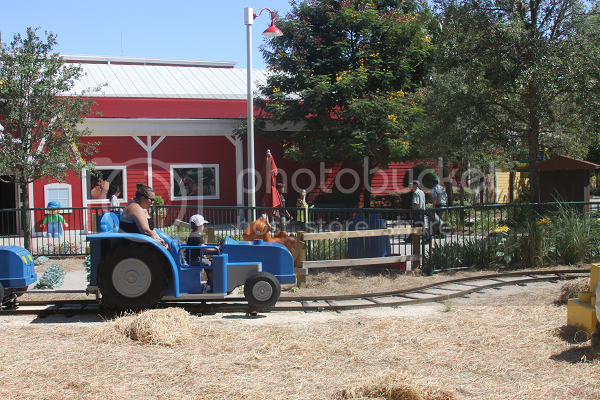 The benches throughout the park were made from recycled water jugs and one of the Fun Town attractions, the Fresh From Florida Greenhouse, taught children through Lego play about farm to table food. When a friend asked me for the details on Legoland, I tried to explain to her as best as I could that it was completely captivating and amazing and also helped the children learn and use their imaginations in the process. What child doesn't imagine a world where their toys come to life? 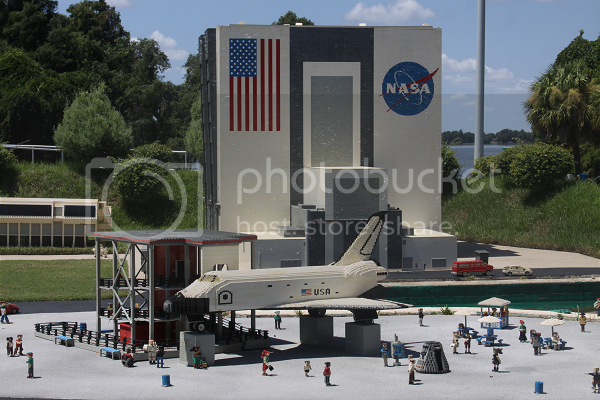 Legoland was just that: an opportunity to visit a magical world where everything was, well, a Lego land! 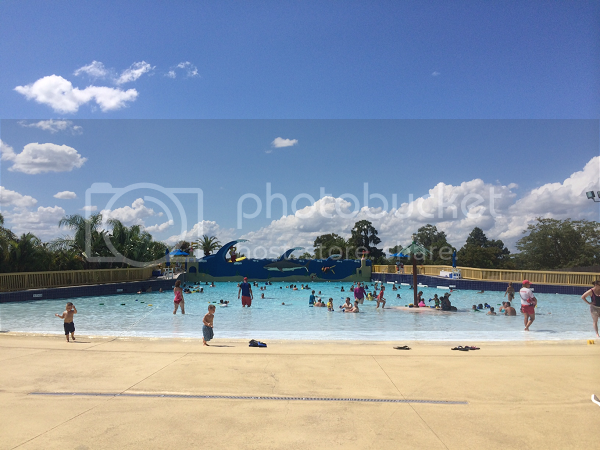 A trip to Legoland was both an exciting, magical day at a theme park and a beautiful day spent with family without being overwhelming in the slightest. After spending the entire first half of the day in the Legoland park, we then made our way over to the Legoland water park! Legoland has an actual water park on the premises which is the perfect way to finish off a day at the park and cool down from this heat! I knew that there was a water park, but I wasn't expecting it to be, well, an actual waterpark. No little splash pads here. 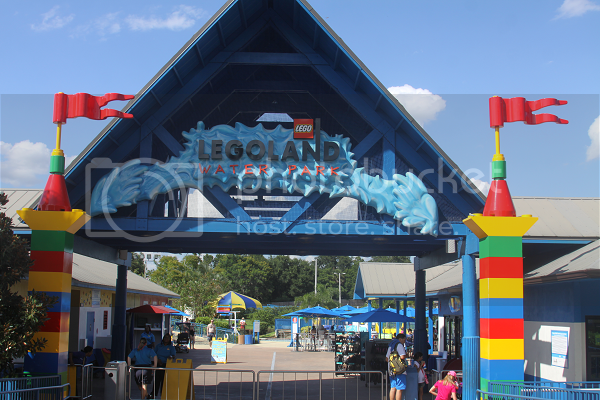 Legoland's water park offers full day locker rentals that range in price from $5-$12 (depending on size) which makes it easy to stow all of your valuables while you explore the waterpark. 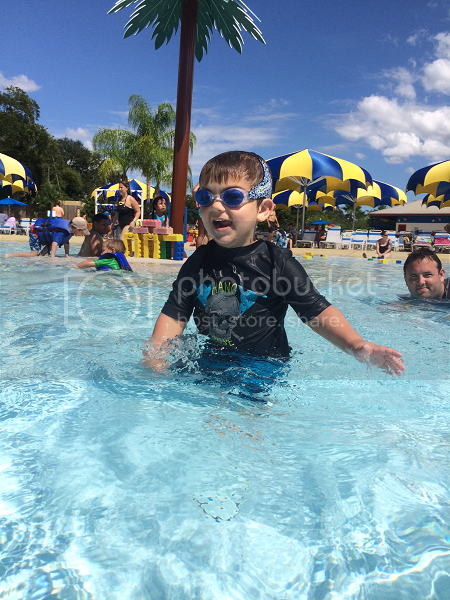 Admission to Legoland's water park is separate from the regular theme park but well worth it. The first thing we did was the Duplo Splash Safari. The big Lego safari animals were also interactive so Ethan had fun turning the wheels to control the water flow. 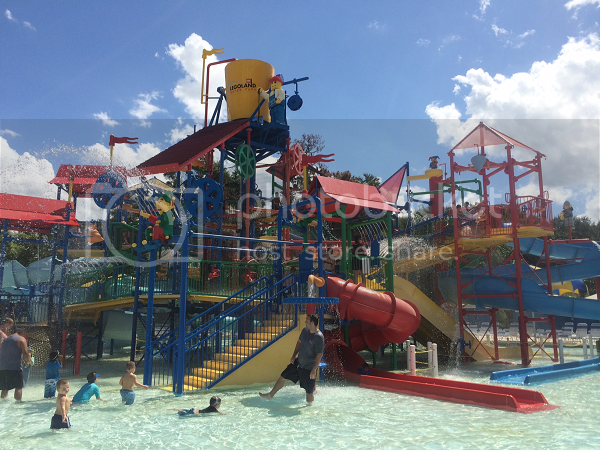 There were also a couple smaller scale water slides for toddlers and young children so they could have their share of water adventure, too. The Build-A-Raft lazy river was also a lot of fun. 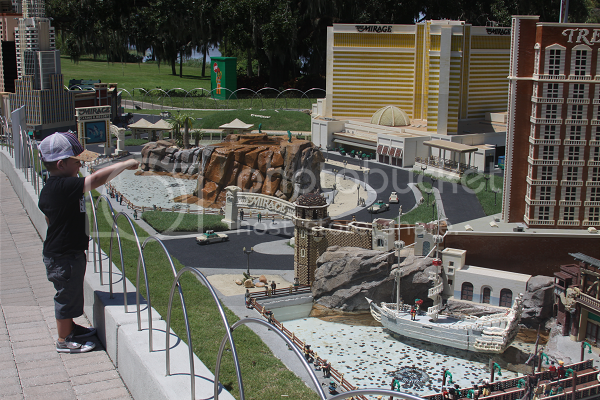 The lazy river is 1,000 feet long and on your journey, you get to float past more larger than life Lego creations. Perhaps the coolest part is that the inner-tubes are complete with Lego boards so you can stack foam Lego blocks as you go to create a Lego creation on your float, too! The Joker Soaker water structure is for older kids, but Ethan still had fun exploring the bottom levels with my husband. 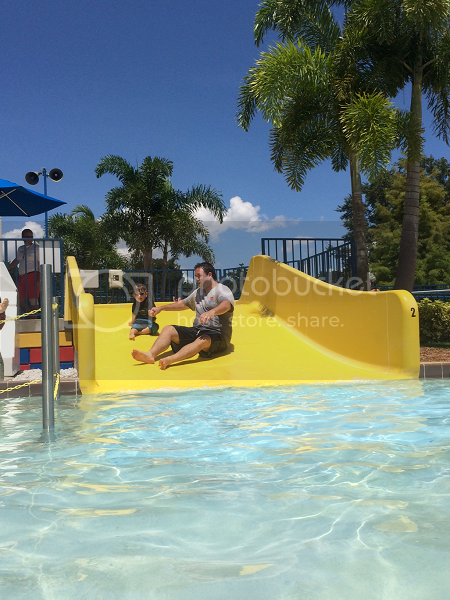 There are many different levels of slides for guests of all ages to enjoy this zone (and get soaked by the 300 gallon bucket!). Older kids and adults will also love the water park's gigantic water slides, one of which is 375 feet high! Ethan's favorite, hands down, was the Lego wave pool. 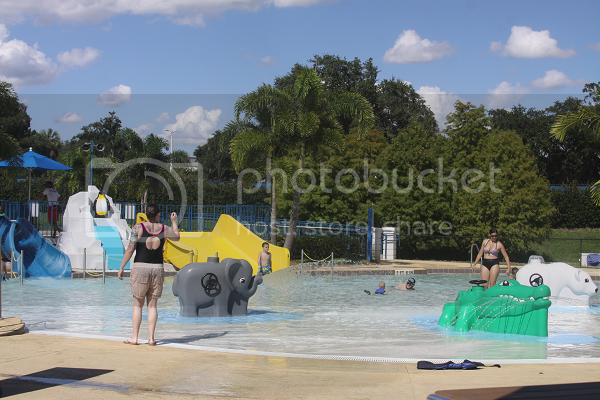 The wave pool also had some Lego "beaches" kids could swim up to and do some Lego building. Ethan probably spent a good hour in the wave pool and getting him out was a little bit of struggle. Luckily, the fact that the attached Beach & Brick Grill sold ice cream worked in our favor. We had an amazing time at Legoland and immediately came home to recommend it to all of our friends wondering if the trip was necessary. In fact, we're already making plans to return back in November. 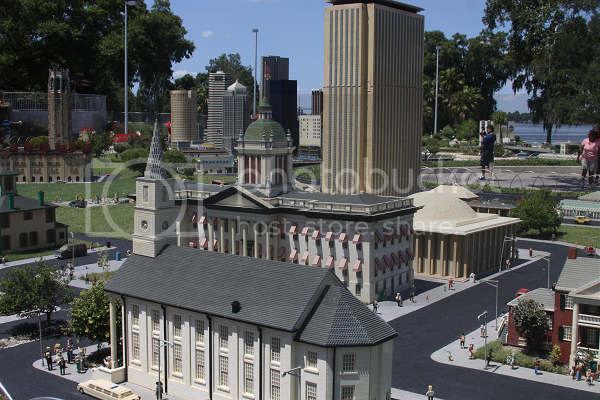 Word on the street is Legoland is in the process of opening a hotel in 2015 and I can only imagine how absolutely magical it will be! 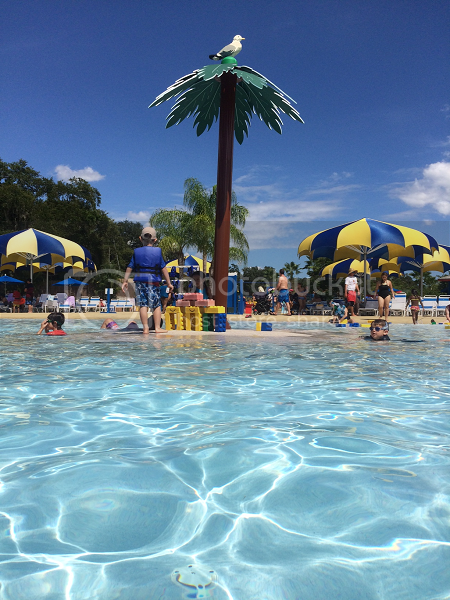 Our family received park tickets to Legoland Florida and Legoland Water Park to facilitate a review. No compensation was provided and all photographs and opinions expressed are completely my own. I don't know how to relax. During a normal week, when Saturday rolls around and my husband announces his Boys Day Itinerary that he's been working on in his mind all week, my initial thought is that I'm going to relax while they're gone. Maybe I'll allot a few minutes to planning next week's tot school, maybe I'll lay on the couch and stream That '70's Show reruns on Netflix shamelessly because I earned it, damn it. But inevitably they walk out that door and the silence makes me all antsy. Why don't I kick things off with next week's tot school plans? Hey, don't I need to grocery shop, too? I really should make a run to the health food store, too. Oh, didn't I say that I needed some more popsicle sticks for tot school? Didn't Ethan say he needed some more paint? Maybe I should make playdough. Is 360 days out too soon to start planning Ethan's next birthday party? Anyway, basically I blink and it's time to make dinner and I'm knee-deep in about five different projects and ready to pull my hair out and my husband can't understand why I can't just relax. I hate that word. Relax. It's synonymous with slow death in my mind but then I long for it as it hangs tauntingly above my head just out of reach enough. We've been up at my parent's lake house for a few days now and I'm at that point where I'm starting to feel jittery staring out the windows at the vast nothingness. The sound of birds, cicadas, leaves rustling in the brush? I'm over it. Give me the sounds of irritable women berating baristas over wrong temperature espresso drinks or give me death! I mean, it's nice in theory. Who doesn't all but salivate over the thought of a beautiful home tucked neatly in the woods, covered by canopies of branches and moss, overlooking a lake in the part of the state that remains mostly untouched by man? Who doesn't long to get away from it all at some point? 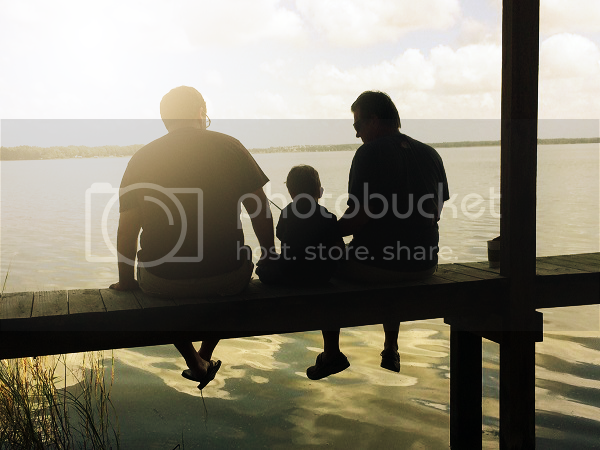 But then it happens: a day at the lake house with no plans. Twenty-five minutes each way from the closest Starbucks, twenty-five minutes each way from an alpaca farm that may or may not have gone out of business. I feel myself getting anxious as Google confirms there is, oh, just about nothing other than Baptist churches within a forty-minute drive from where I sit, a ceramic statue of the word "Relax" staring at me from atop the television stand. I swear I can hear it mocking me. I like to stay busy. I like to respond to my husband's pleas for me to draw myself a warm bubble bath and read a book in silence with a snarled "who has time?" I'll never have time because I refuse to make time. Because there are tot school lessons to be made, there are crafts to prep for, there are parties to plan and there are valuable moments ticking away that I'm losing out on just explaining my madness on a public platform. These days, it's hard for me to take the time to watch a movie without visualizing my unfinished to-do list crying in a corner at my failure to complete it. I'm sure I could find the time to read more, to watch more movies, to help myself to more evenings where I sink into a bubblebath after Ethan has gone to bed and think about nothing. And I also think I might hate that. I'm not good at relaxing. I'm one of those people who feels vulnerable and helpless when I'm not rushing or frantic or at least boasting a four-tier to-do list on a regular basis. I'm one of those people who needs my caffeine in the mornings and a routine that may not be identical each day, but contains something. Laying on a hammock underneath the trees alone with my thoughts sounds almost like torture to me. Is that weird? 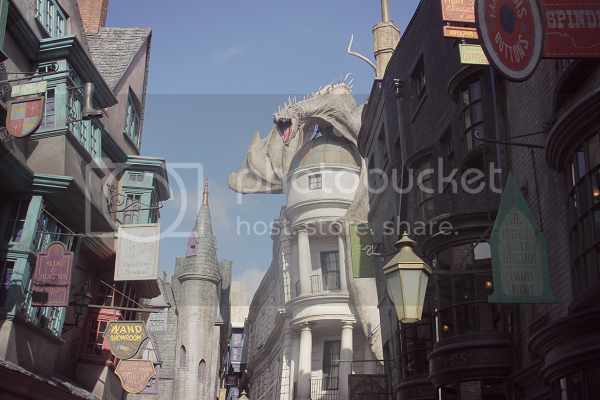 I'm unsure of where exactly to begin in telling you about our trip to Universal Studios Orlando. There is so much to say (and an awful lot of photos because I just couldn't narrow them down!) about what a truly amazing time it was. 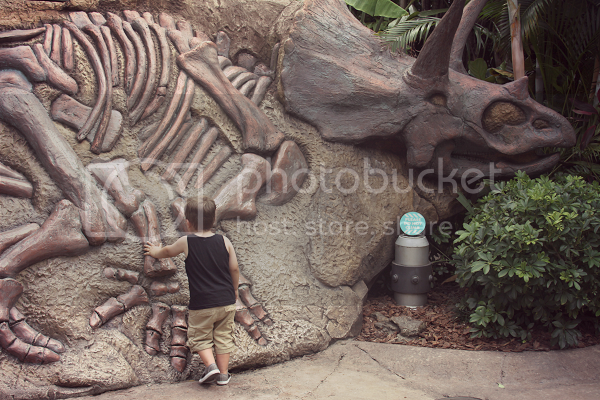 Most alarming to me is that before our trip, I had several people tell me that Universal Studios had little to nothing for young children or toddlers and because of that, once we arrived I wasn't sure what to expect. Well, remember when I mentioned that we were taking this trip to try to find some magic that our family so desperately needed? We found it at Universal Studios. There was magic around every corner and in every moment of our day at the park. 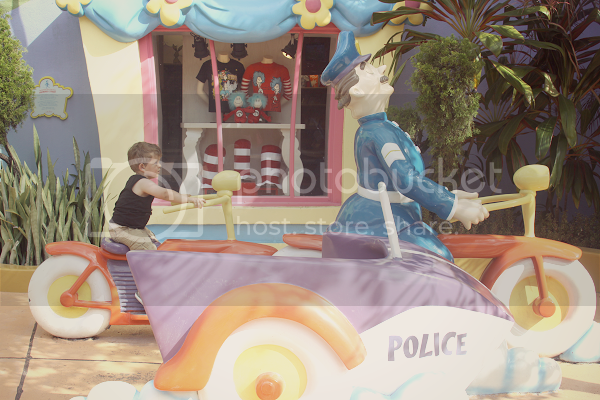 I'm going on record to say that there is so much for children Ethan's age at Universal Studios! Every minute of our stay at the park was spent watching Ethan's face light up and we watched him have the time of his life which, in turn, gave us the time of ours. From the moment we stepped foot on the Universal Studios property (which boasts organized, shaded parking garages versus chaotic parking lots -- this was so appreciated from a grown-up standpoint), it was universally (see what I did there?) the best day ever. 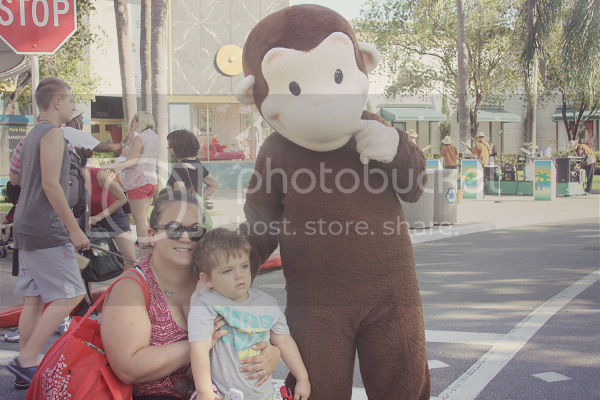 Within five minutes of entering the park, we ran into Curious George strolling down the sidewalks! Aside from being Ethan's absolute favorite character, oh, ever (he was a little overwhelmed by it all when this photo was snapped! 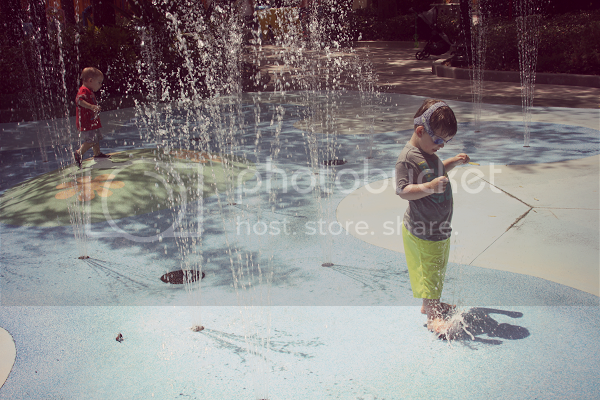 ), it was awesome to see him just hanging out and walking around the park. It really made Ethan believe that this was the home to all of his favorites and he actually got to visit them! 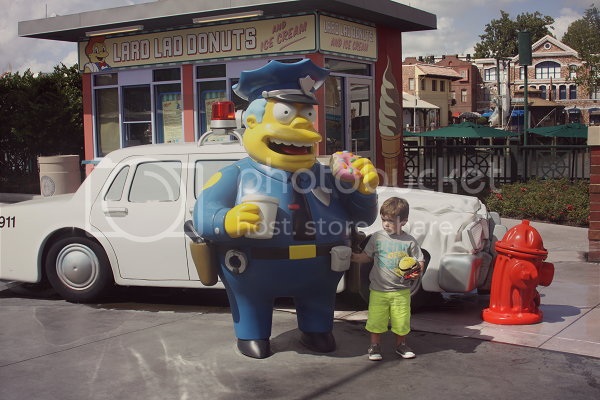 George would be the first of many characters that got to come to life for Ethan as he explored Universal Studios that day. There were no lines, no astronomical wait times in the heat, no stress or chaos at all, just a bunch of beloved characters seemingly as eager to meet you as you are to meet them! 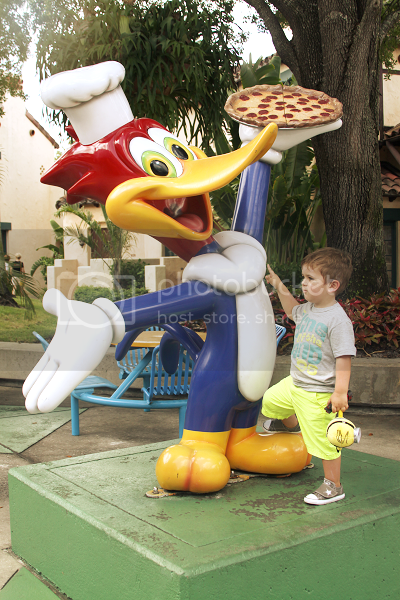 The accessibility of the characters was part of Universal Studios immediate charm and as we watched Woody Woodpecker walk by minutes after we met George, we just knew it was going to be a pretty special day. 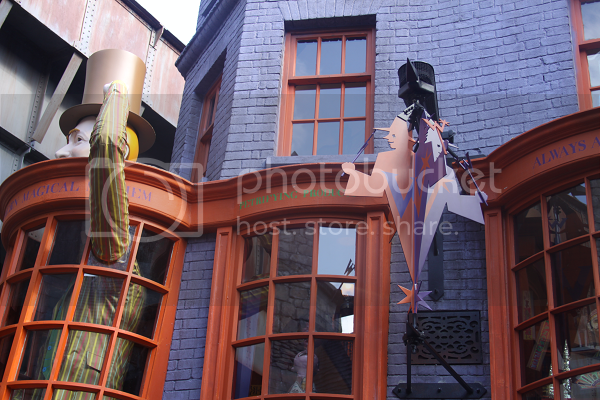 When we arrived to Universal Studios, we got to take a special tour of the new Diagon Alley area at The Wizarding World of Harry Potter. Ethan was still overwhelmed by the travel time and crowds so we got to enjoy the tour for him while he kept busy with his new plush Minion and worked on warming up (toddlers!). 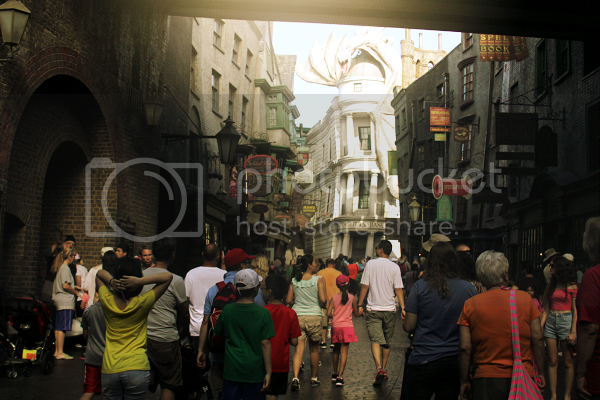 Even if you're not a Harry Potter fan, Diagon Alley is worth checking out. It's absolutely breathtaking to see the detail that goes into making every aspect of the park match the books and films. The fire breathing dragon atop the buildings is awesome and I loved that everything was so interactive with the guests. At the Gringott's Money Exchange, park guests could exchange their US currency for Wizarding Bank Notes which can be used throughout the Universal Studios park! Another cool part about the Money Exchange is that the bank tellers are interactive which, yes, means you can speak to them and they will answer! 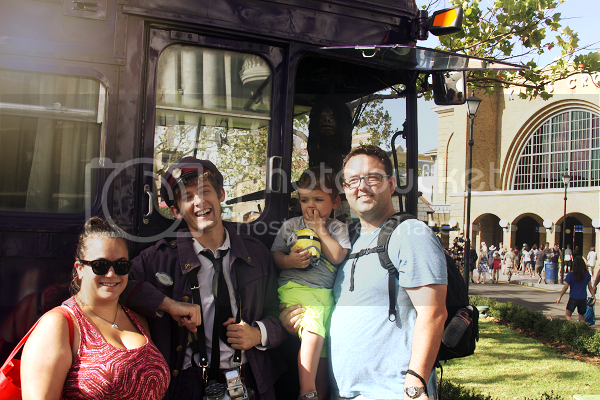 Park guests can also meet the Knight Bus conductor and see the Knight Bus up close. My favorite part of this was the also interative shrunken head that is awfully good at holding a conversation with you. Ethan is still deciding how he felt about this but I know he was secretly intrigued! It was awesome seeing how Universal was committed to bringing the magic to life for the park visitors as I just mentioned. 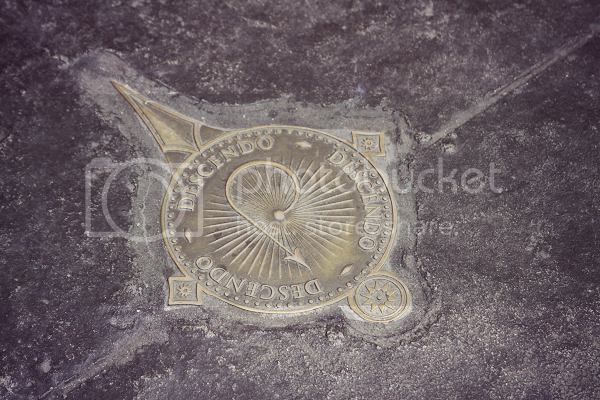 Wizards got to choose their own magic wands at Ollivander's and whenever they saw these little spots marked on the ground, got to wave their wands and make actual magic happen! During our tour, we watched a young wizard excitedly wave her magic wand and make things move inside the storefront window. 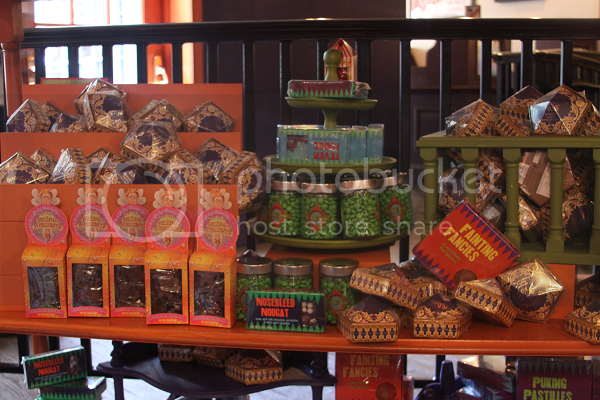 Speaking of storefronts, there was tons of shopping to do down the streets of Diagon Alley at familiar shops like Weasleys' Wizard Wheezes, Magical Menagerie (Ethan's favorite), Quality Quiddich Supplies and several more. 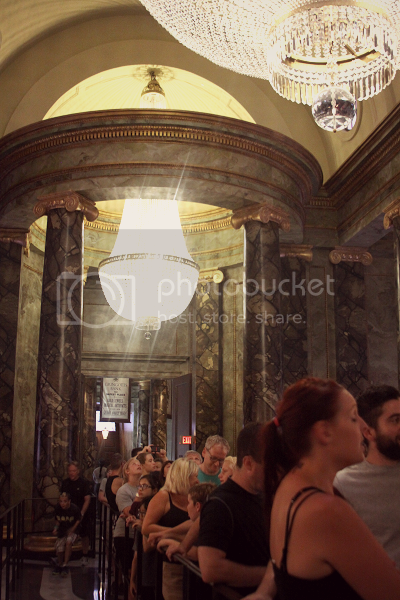 We also got to take a tour of Gringotts. Even Ethan was intrigued by the interactive goblins who move (and may as well be real!) as you wait in line. During our tour, we got to see a clip from the Harry Potter & The Escape From Gringotts film and truly compare the Gringotts that Universal Studios has created. Every last detail was impeccable and it was understandable why people travel from all over to visit the magical world that Universal has created for Harry Potter fans! 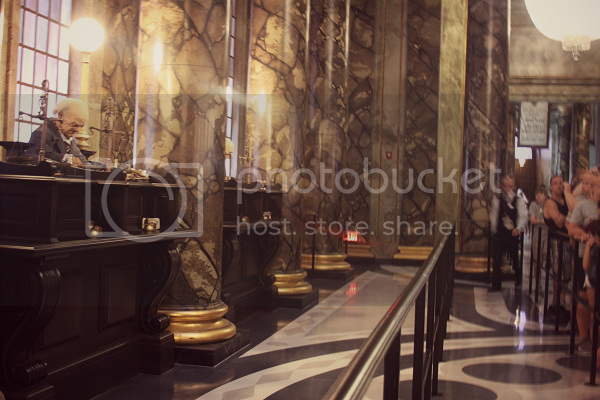 During your visit to Gringotts, you're able to get your photo taken for authentic badges and take in every detail of the attraction. 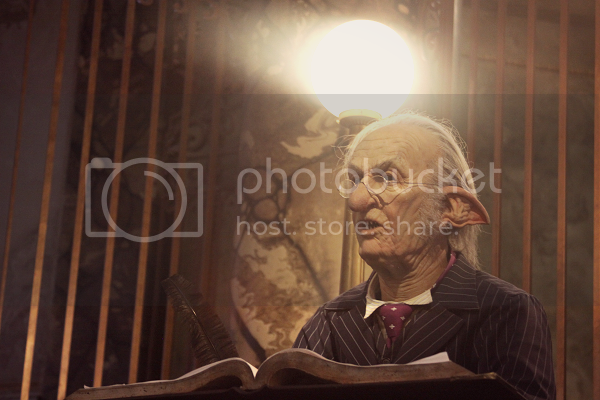 Sightseeing aside, the main attraction is the new Escape From Gringotts ride. 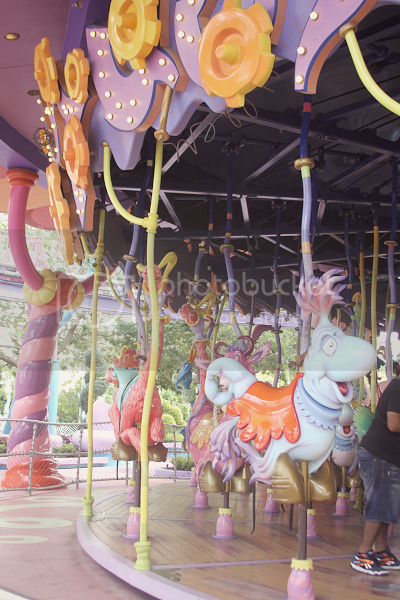 I'm not a ride person (that's putting it mildly -- I think carousels are scary enough!) so my husband got to review the ride for me. 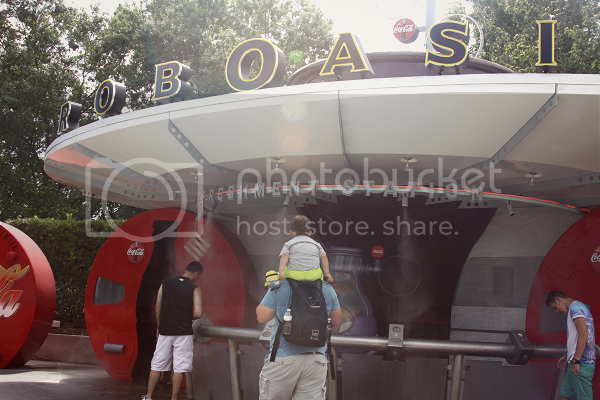 While Ethan and I waited for him to finish the ride, we got to try out the awesome Child Swap area. Child Swap is an area towards the front of the line where kids can hang out safely, comfortably (and air-conditioned-ly!) with one parent or guardian while the other is on the ride. Ethan and I spent this time playing with his new Hogwarts Express train toy but the other Child Swap guests were sucked into a showing of one of the Harry Potter films. 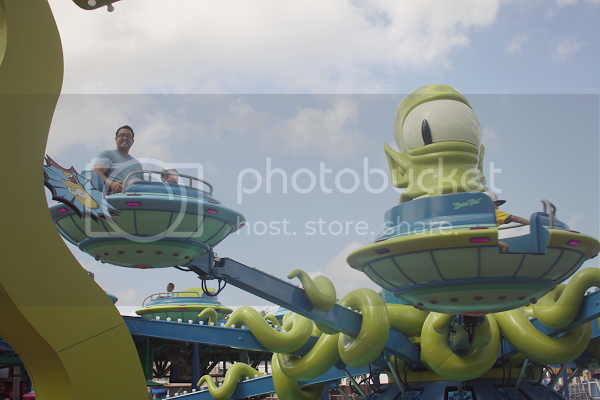 Now, if I was a ride person, when my husband was finished with the ride he would swap places with me and take over Ethan duties while I jumped onto the ride. It's a pretty cool system that Universal Studios has set up to ensure that the entire family enjoys the trip and no one has to miss out on anything! As for the ride, my husband thought it was awesome! I don't want to give away all of the secrets since it's a new ride, but it's the perfect mix of groundbreaking 3D technology as well as rollercoaster. No thrill-seeking ride lover is going to want to miss this one, even if you're not a diehard Harry Potter fan! Something else that is unique to Universal Studios and a truly fantastic idea are their Height Certificates. When a child isn't tall enough to ride one of the rides, instead of simply turning away disappointed, they're given a Height Certificate with their name on it. 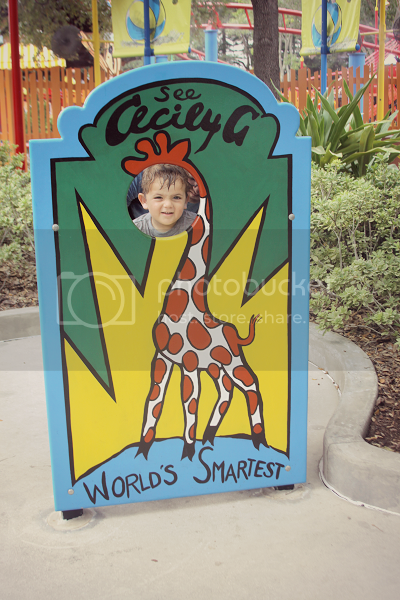 On a future visit, when the child is taller, they can bring the Height Certificate and use it to hop right on the ride -- no waiting in line necessary. I thought this was adorable and such a kind gesture to alleviate the disappointment of little ones. Ethan has his very first Height Certificate for the Escape From Gringotts ride! 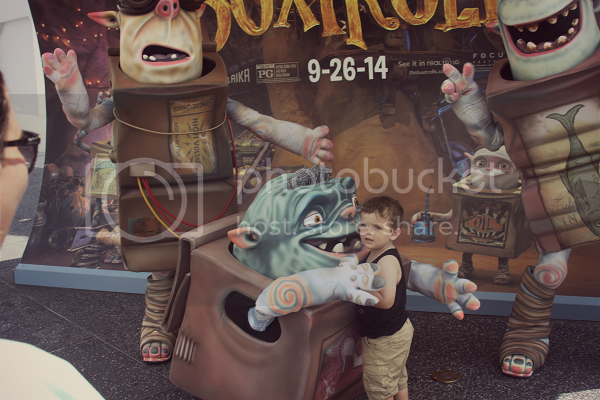 The temperatures have been above 100 degrees lately and our day at Universal Studios was no exception. It was hot to the point where it truly felt like your flesh would melt off. The frequent appearance of misting opportunities Universal Studios offers throughout the park were like answered prayers and the the constant shaded coverage and fans blowing as we passed by deserve a shout-out, too. It was surprisingly easy to stay out of direct sunlight while walking through the park which was very much appreciated by us all (especially me because I was wracked with guilt that I had left Ethan's hat at home). I had mentioned initially how Universal Studios has something for everyone and I wanted to reiterate just what I meant. 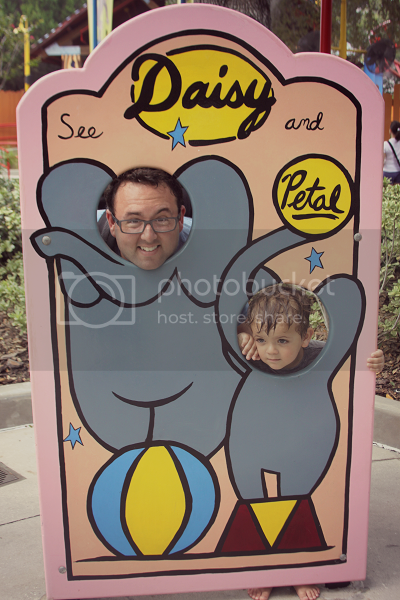 My husband had been very much looking forward to The Simpsons ride which, of course, Ethan was too small to go on. 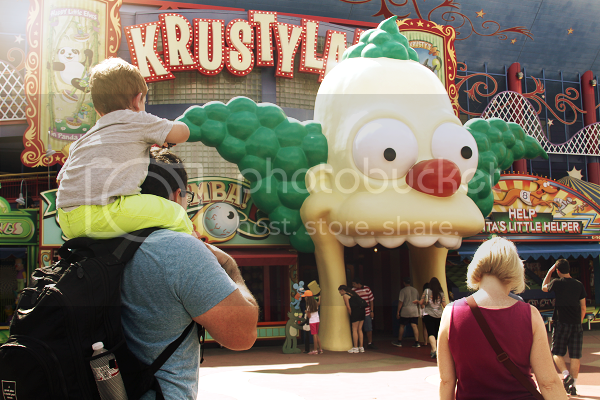 After he took Ethan on the smaller alien ride in The Simpsons area, he went to go give the big ride a shot while Ethan and I explored the more toddler-friendly areas in the carnival-like set-up. Each part of the park has something for all ages so that no matter where you go, there is something that even the tiniest member of the family can enjoy. 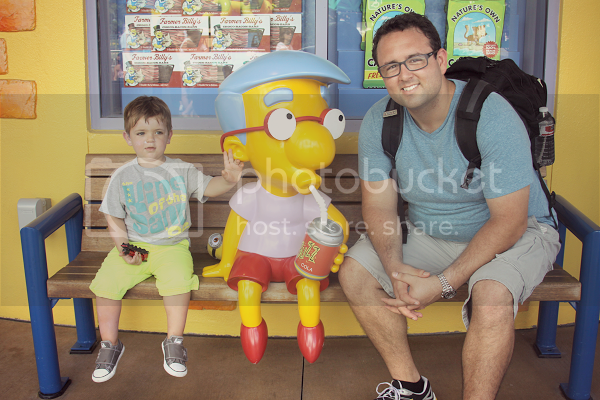 It isn't easy to make The Simpsons enjoyable for both three year olds and adults alike, but Universal Studios nailed it and it was just as much fun for Ethan as it was for my husband! 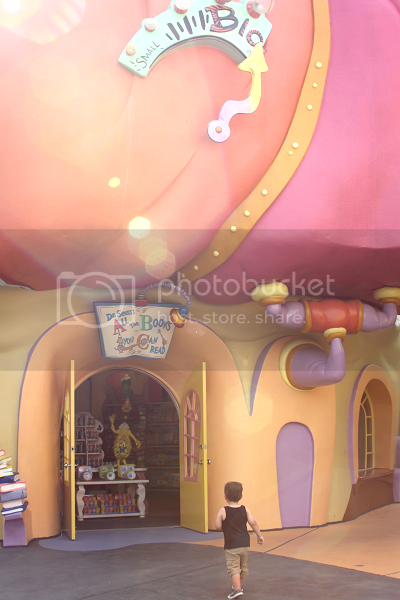 This isn't just limited to The Simpsons area, but all of the areas throughout the park. I noticed even in other park goers, everyone was relieved to be able to keep the family together while still having something for everyone to do. Before my husband finished his ride, a sign for a Barney area caught Ethan's eye and so we went to go play in the Barney's Backyard exhibit. 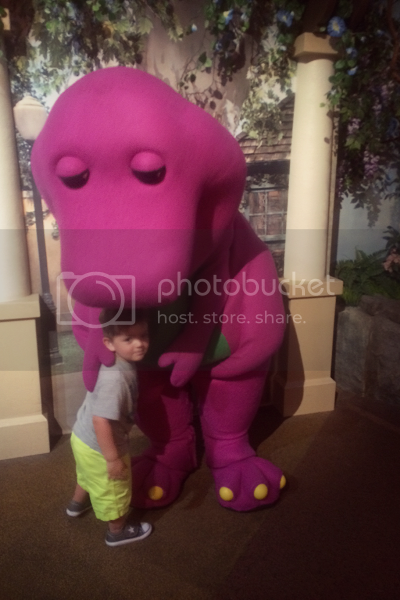 A few months ago, Ethan went to a Barney themed birthday party and he's been totally in love with that purple dinosaur since then -- so imagine his surprise when none other than "the real Barney" walked by to say hello! 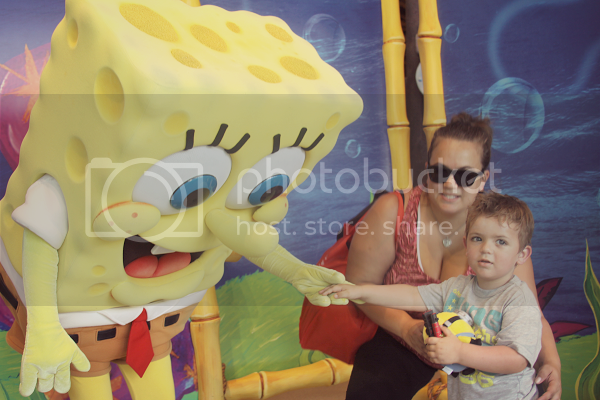 From there, Ethan spotted my sister's favorite character hanging out and shaking hands and, naturally, he couldn't pass up an opportunity to go say hello to Spongebob himself! Again, it was such an out of this world experience for Ethan to be able to see these characters walking around and waiting to meet him. 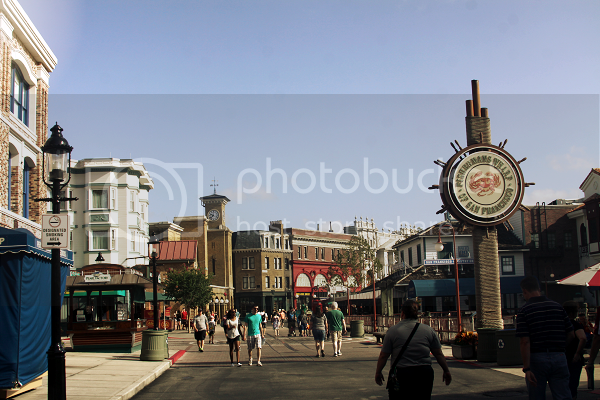 It made the magic come alive immediately and set Universal Studios apart from other theme parks. 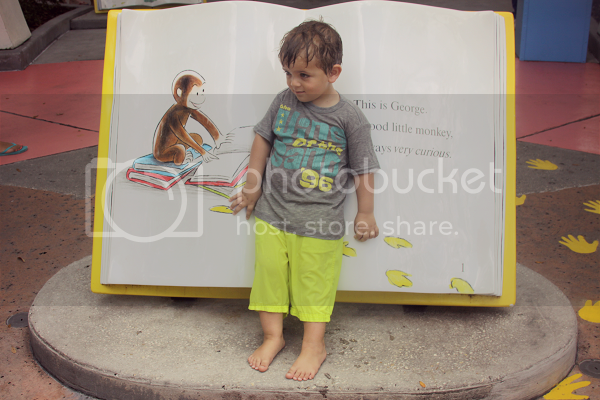 I mentioned earlier that Curious George is Ethan's favorite storybook character and I wish I could accurately describe the look on his face when he saw that Curious George's town was right there in front of him! 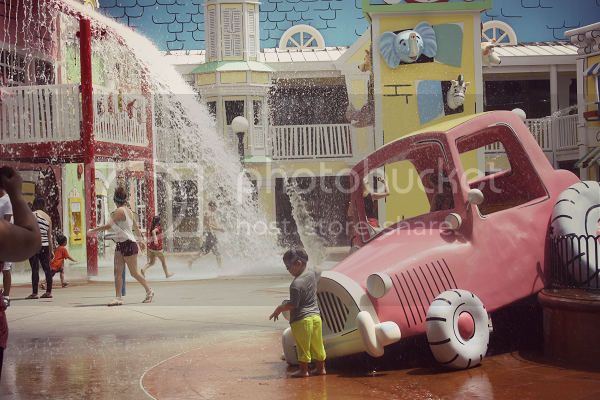 Curious George's town was the perfect opportunity to get wet and cool down. 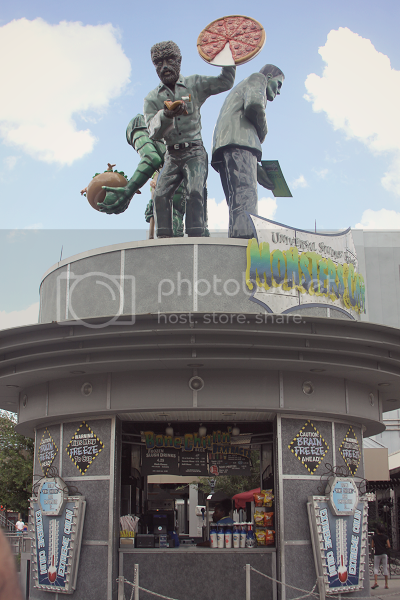 The cartoon-like design of the town was so bright and fun and I loved the classic H.A. Rey elements thrown in for true authenticity, like the nod to Cecily the giraffe! 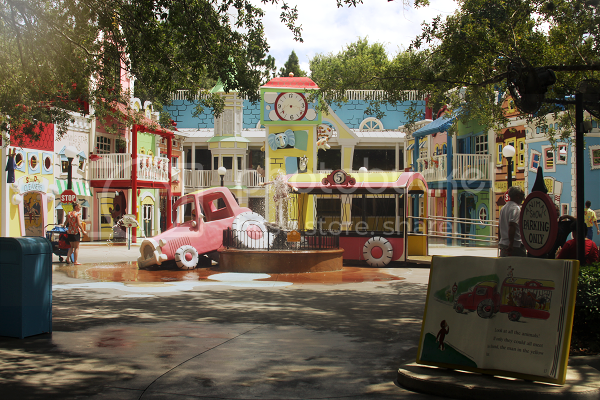 Though it looks like it's just a backdrop, Curious George's town was very much real and accessible. You got to enter every different building and explore it from the inside, too. 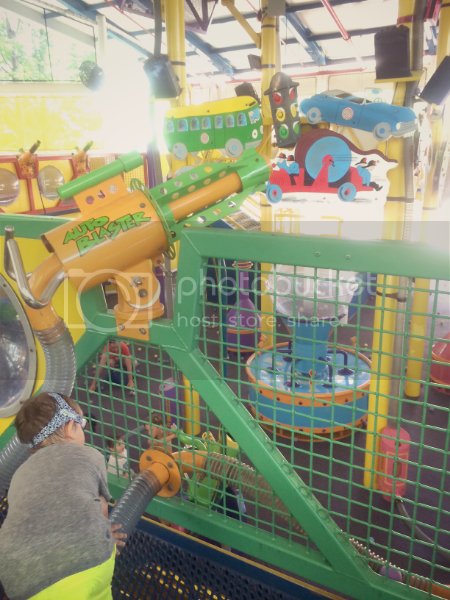 You could even visit George's Ball Factory inside one of the buildings which took you to an amazing two-story foam ball adventure, complete with ball poppers and blasters! After drying off from our curiously fun adventure with George, we happened to run right into one of the Universal Studios street parades! We got to watch the characters from Hop and their friends put on a fun show filled with music, singing, dancing and (you guessed it) more character meet and greets! Ethan quickly caught a glimpse of some silly looking creatures across the street and so we went to check it out. 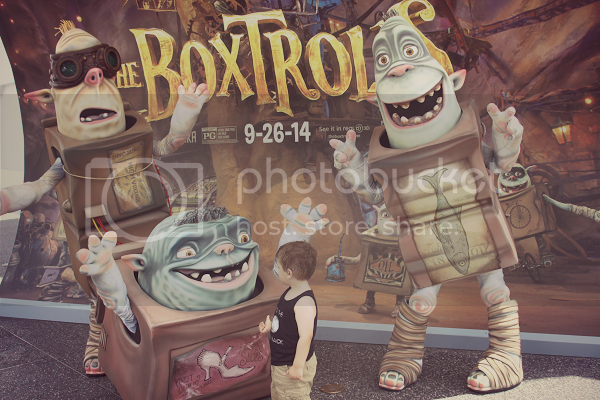 They were characters from the upcoming film The Boxtrolls ready to introduce themselves to passerby. Ethan stared skeptically at first but before long he fell in love. He's still saying that Shoe, the shorter Boxtroll, was his favorite part of our trip. 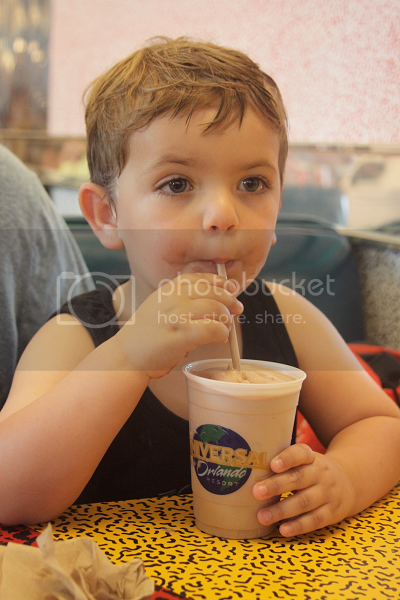 After mingling with the Boxtrolls, we popped into Mel's for a shake break. True story: always the old soul, I was so obsessed with American Graffiti growing up that I forced my friends to watch it at my 10th birthday party sleepover. I'm not so sure everyone else was as into it as I was. Story of my life, right? 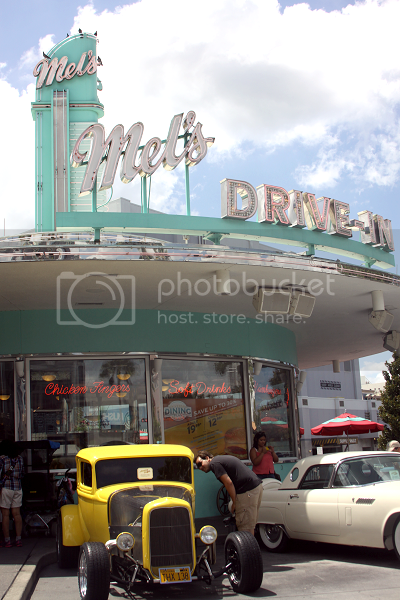 Anyway, it was still really cool even as an adult to pop into Mel's. Even when you're a grown up, the magic can still get you! 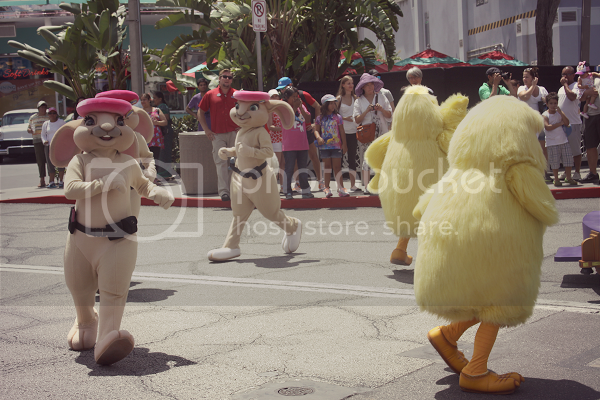 After our milkshakes, we were walking around sightseeing around the park when we saw a couple more familiar faces! 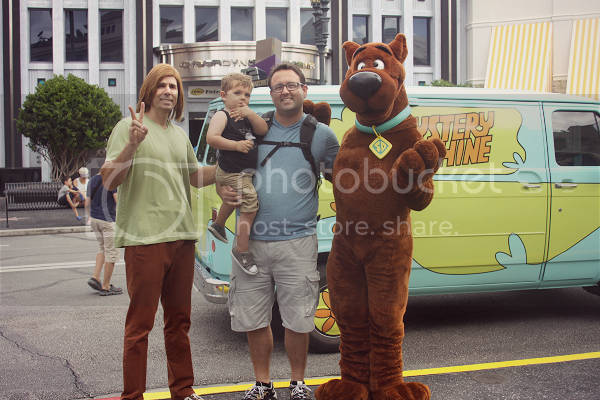 Ethan has been completely obsessed with this Scooby Doo storybook lately and seeing the real Scooby Doo made his day! Although, always the skeptic, Ethan wasn't so sure he bought that this wasn't some kind of Shaggy imposter! We continued to make our way around the park. 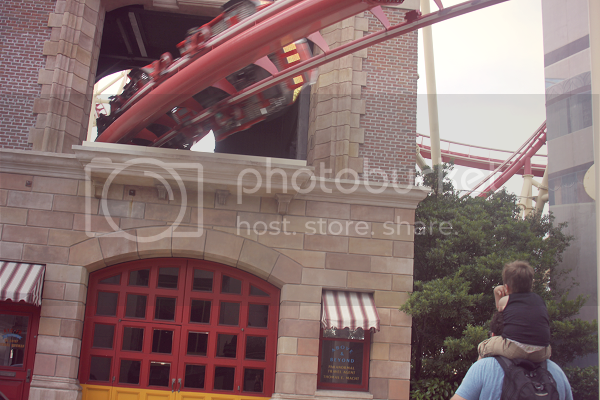 Ethan loved watching the bigger rollercoasters zoom by overhead and taking in all of the little details. 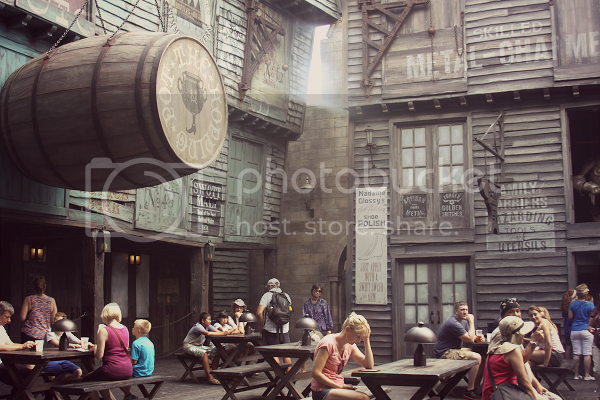 When I say "little details," I do mean little details: it was crazy how authentic each part of Universal Studios was. 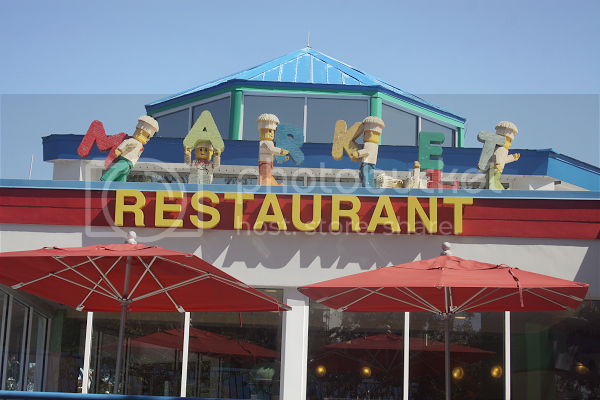 Fisherman's Wharf in San Francisco is one of my favorite places to visit and it was so cool to see how much Universal Studios was able to replicate each detail that I remembered. Every tiny part of the park stuck to it's theme perfectly and it was really fun to see what was around every corner. 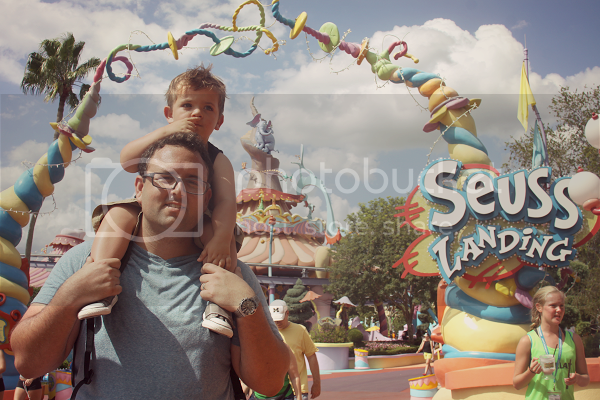 By the time the late afternoon crept up, we decided we wanted to go pay Islands of Adventure a visit, too. In my mind, I was admittedly moaning and groaning a little bit because, let's face it, the journey from one park to another is usually filled with a whole lot of hiking plus multiple buses or trolleys just to put you at another parking lot you'll need to hike through in the heat. Universal Studios solved that problem and magically so. 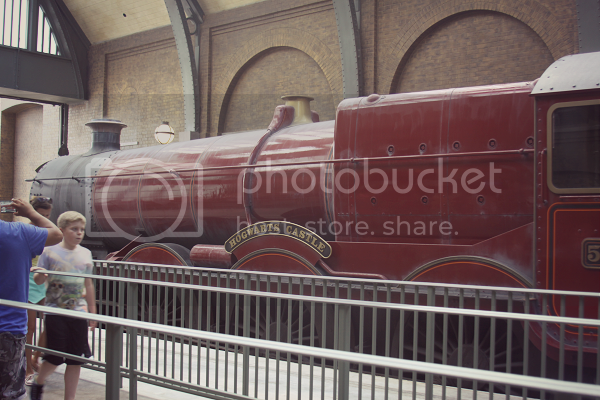 Upon entering a strikingly realistic train station, park hoppers got to ride the Hogwarts Express from one park to the other. 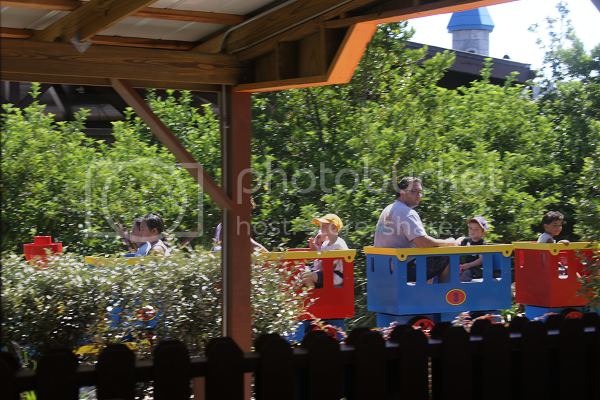 Aside from the realism involved for Harry Potter fans and the thrill of a real train ride for little guys like Ethan, the experience of going from park to park was completely enjoyable. Magical, even. Thrilling, I'll go on and say. There was no blood, sweat or tears involved in entering a new park, just more of that Universal Studios magic. As we climbed into our train cabin, the doors closed and, thanks to Universal's amazing technology, we got to experience a journey complete with silhouettes of the Harry Potter characters speaking right outside our train car. 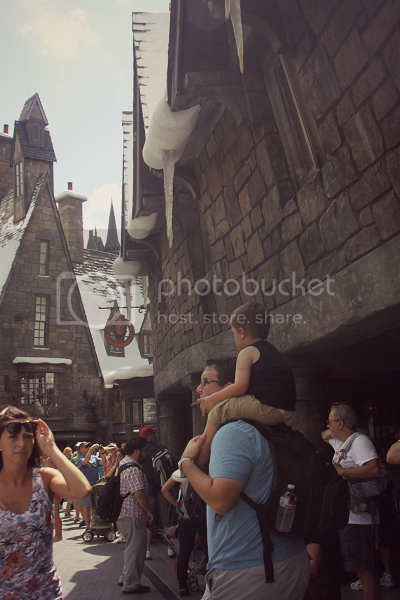 By peering out the window, Ethan got to see us travel from London to the countryside -- and eventually (four or so minutes later) pulling into the station at our next stop, Islands of Adventure (or Hogsmeade Station). Islands Of Adventure definitely has a lot more for the older crowd than the little ones, so we spent a lot of time admiring the rides and exhibits from afar. There was a lot to admire on our journey through comic books and magical superhero lands! 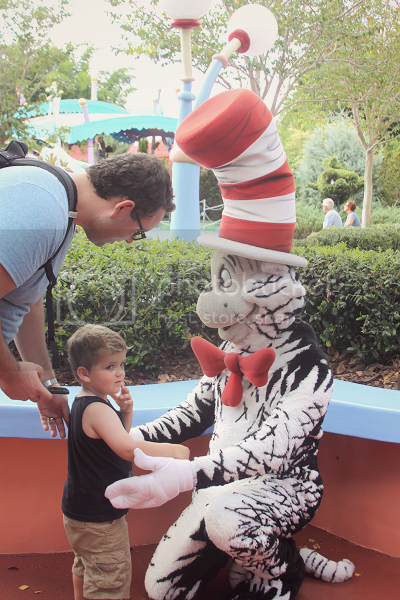 While maybe there isn't as much to do for little ones at Islands of Adventure, what there is is worth visiting, without a doubt. 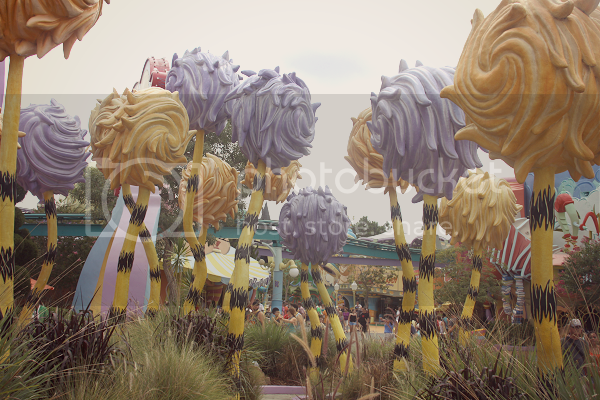 Seuss Landing is like a theme park in itself. 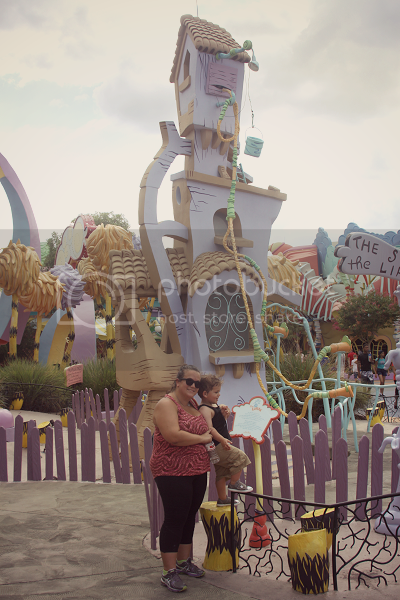 It is a world as magical as Dr. Seuss' books themselves and Ethan was completely overjoyed and amazed from the moment we stepped foot into Seuss Landing. 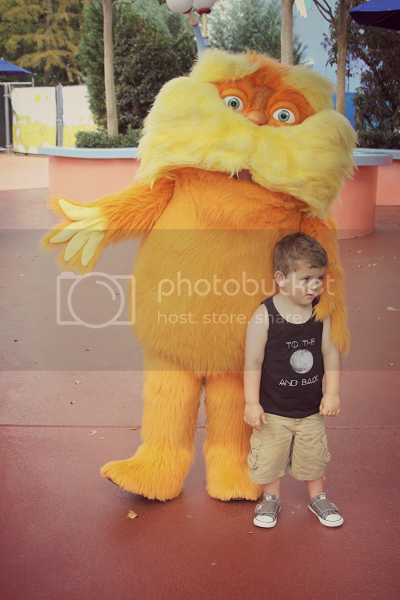 After he finished the One Fish, Two Fish ride, Ethan ran into some of his favorite characters. 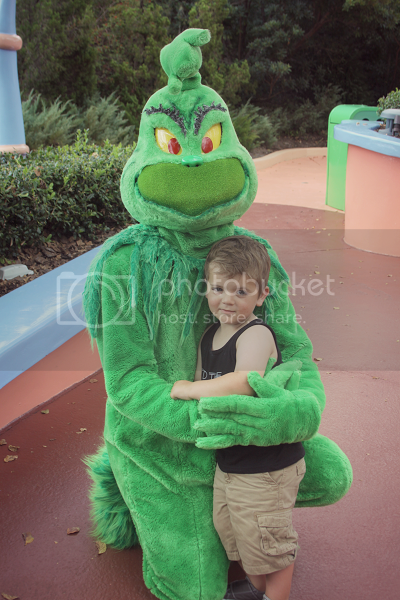 Watching him meet his storybook idols is so awesome for me as a parent. It's equal parts disbelief, shyness and complete excitement and I loved watching all of this magic come alive for him. It was an amazing day filled with all sorts of magic and smiles. I couldn't wait to get back home and set the record straight that Universal Studios not only has tons of things for smaller children, but it truly has something for everybody. We can't wait for our next visit! Our family received park tickets to Universal Studios Orlando and Islands Of Adventure to facilitate a review. 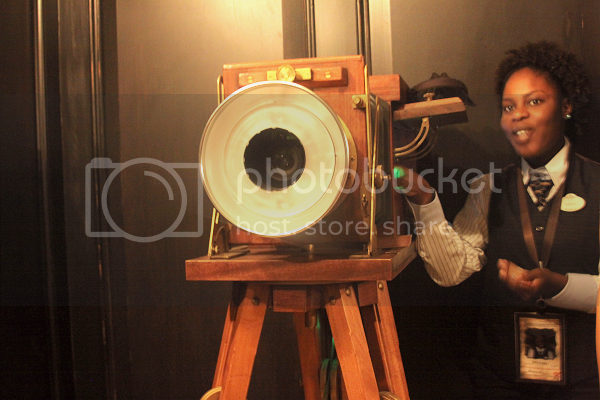 No compensation was provided and all photographs and opinions expressed are completely my own.